284 pages | 7 B/W Illus. Geared toward emerging and established creators alike, this book takes a practical approach to the process of finding the best music for all forms of moving image. The Film and Media Creators’ Guide to Music offers hands-on advice for media creators, providing readers with the confidence to approach the planning, commissioning, creation, and placement of music in their projects with the awareness, understanding, and vocabulary that will enable them to be better collaborators and empowered storytellers. For students and professionals working across film and media, this book is the essential guide to using music creatively and effectively. 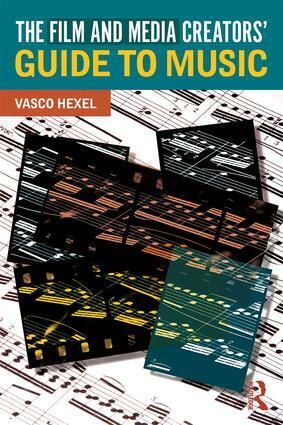 Vasco Hexel is a composer, author, and educator. He leads the Masters Programme in Composition for Screen at the Royal College of Music, London, UK.